The UTA was formed in 1995 to provide quality products and services to Owner Operator, Independent Contractors and the Small Fleet Owners and their drivers. The UTA knows how important you are throughout the Trucking Industry. 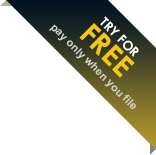 ExpressTruckTax is an IRS authorized e-filing service provider of Form 2290, 8849, and 2290 Amendments. We believe strongly in solid, long-term customer relationships. That’s why we provide live phone, chat, and email support in English and Spanish from our Support Center based in Rock Hill, SC. We also provide our users with dedicated account managers so you’re never speaking with a stranger. Our business model is founded on building exclusive features and custom services that can be accessed from any location. 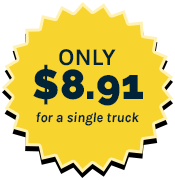 We believe in providing the best product at the best price to support our trucking industry, which proudly keeps our nation moving. The United Truckers Association has partnered with ExpressTruckTax to offer its members a simple way to e-file Form 2290 HVUT at the best value in the industry. ExpressTruckTax provides a premier e-filing experience that allows you to get your Stamped Schedule 1 back within minutes of filing. We have made our program as easy to use as possible. You'll find contextual help bubbles and support text throughout the program, guiding you through the process step by step. Now you can e-file a single vehicle 2290 for only $8.91 and receive exclusive rates on all of ours services at UTA2290.com. We know we're not the only ones providing this service, but we do know we're the only ones doing it at this price with this level of quality. Choose UTA2290.com for all of your HVUT and e-filing needs." Address: United Truckers Association 1575 Heritage Drive, Suite 103 McKinney, Texas 75069. © 2019 UTA2290.com, SPAN Enterprises LLC. All rights reserved.